Gujarat State Road Transport Corporation has released notification for the recruitment of candidates as drivers and conductors. There are about 2930 vacant positions for which the notification is released. Candidates who are interested should have to check the official notification and find the details regarding the recruitment. 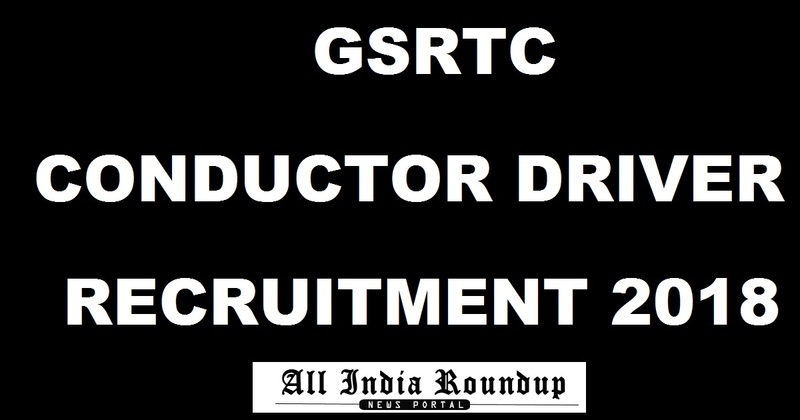 Candidates can apply online for the GSRTC Recruitment from the direct link provided below. Gujarat State Road Transport Corporation is a state-owned corporation. This corporation provides the best transport with in Gujarat State and the neighboring states also. Along with state formation, the GSRTC is also formed on 1st May 1960. It has got 16 divisions, 126 depots, 226 bus stations, 9000+ buses etc. Every year it conducts various examinations for the recruitment of eligible candidates win various departments. This year it has released conductor & driver recruitment 2018. Candidates should check the official notification and find the eligibility criteria like education qualification, age limit, application fee, selection process, pay scale etc. If candidates meet the eligibility criteria they can proceed further to apply online. Candidates should pass 10th or matriculation from a recognized board or institute. More details regarding educational qualification can be seen in the advertisement released. For Conductor post the candidates who are applying should have a minimum age of 18 years and a maximum age of 35 years. For Driver post the candidates applying should have a minimum age of 25 years and a maximum age of 38 years. Other age relaxation details can be seen in the official notification. Candidates who are applying for this post should pay Rs. 225/- towards the application if candidates belong to general category. Other reservation candidates are exempted to pay application fee. How to Apply For GSRTC Conductor & Driver Recruitment 2018? Click on GSRTC Recruitment 2018. Fill all the details correctly in the provided fields. Stay tuned to this webpage for more details regarding the GSRTC Conductor and Driver Recruitment 2018. Press CTRL+D to bookmark this page for more exciting updates from this page.